Bilingual (french / english). This is a game of observation that develops children’s visual acuity and sense of observation. 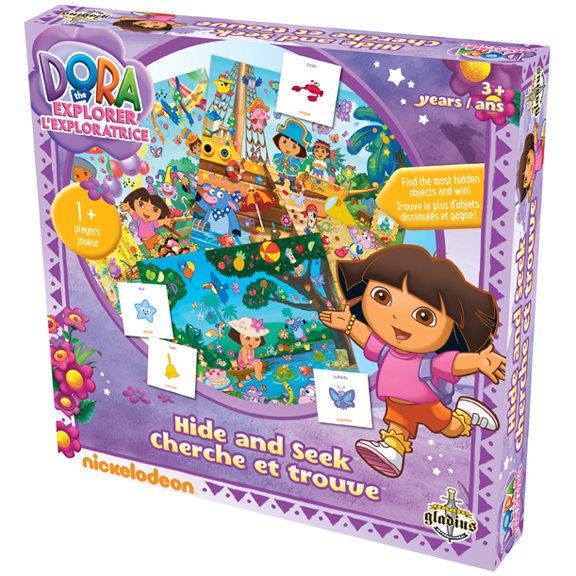 Children must attempt to locate objects hidden in beautifully coloured game boards representing scenes with Dora : the birthday party, the frog’s lake, the countryside, the fairytale castle, the pirate’s beach and Dora’s bedroom.